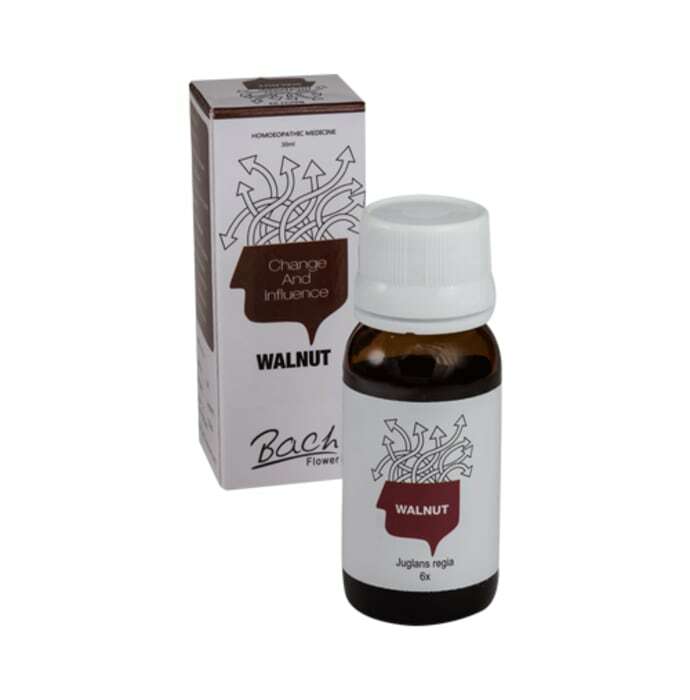 Alfa Omega Bach Flower Walnut is a product specially formulated to help people in their transitional periods. Everybody experiences change in their lives. From birth to teething, to puberty, to adulthood, we grow both physically and mentally. This medicine helps to make people strong emotionally and enables them to accept the change without any effort or pain. This medicine works as a stress reliever and promotes rational thinking. Take the medicine as prescribed by the physician and read the label carefully before use.